The Candlelight Tour of Historic Houses of Worship scheduled from 4-9 p.m. on Wednesday, December 26, 2012 in Frederick, MD is cancelled. There is no "snow date" for this event. Information. The Frederick Visitor Center, located at 151 S. East Street, Frederick, MD, will be closing at 1:30 p.m. today. ABOUT - The Tourism Council of Frederick County (TCFC) is the recognized Destination Marketing Organization for Frederick City and Frederick County, Maryland. It operates the Frederick Visitor Center and related programs that include Destination Marketing, Group Tour Marketing, Frederick Historic Sites Consortium, and more. 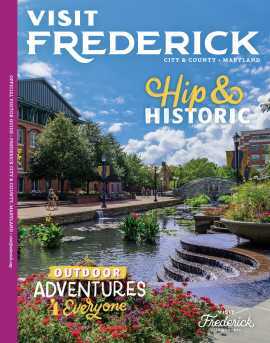 For information about more things to see and do in Frederick County, visit www.visitfrederick.org or call 1-800-999-3613.